In Sanmen county, winter worship is a folk activity held by the clansmen of the village which emphasizes the veneration of the dead. Over the past 700 years, a set of complete acts of worship, solemn and large in scale, have gradually formed. 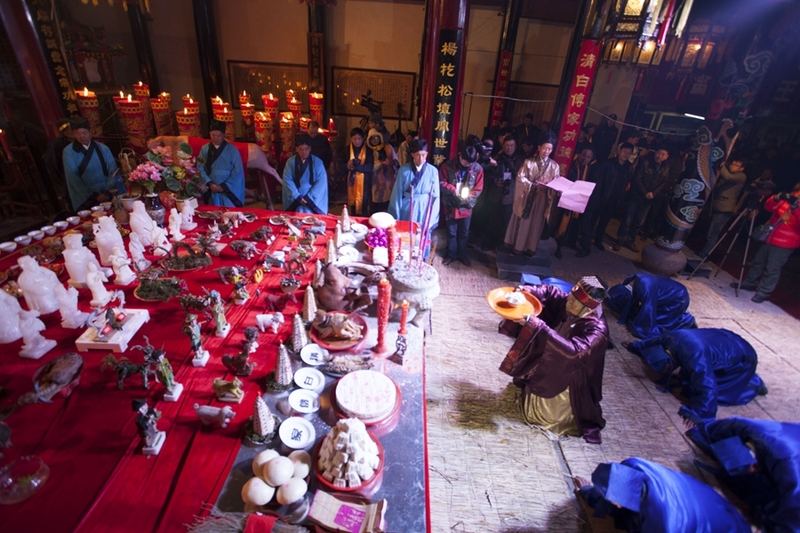 In the Winter Solstice Festival (Dec 21), the ancestor worship in Yangs’ village, near the Sanmen pavilion, is representative of the folk activities in Sanmen county and was included in China’s Fourth Representative List of Intangible Cultural Heritage in December 2014. Two years later, it was added to UNESCO’s Representative List of the Intangible Cultural Heritages of Humanity.